In January, 2015, a lengthy, 8-year process between the Ministry of Conservation and Samborski Environment resulted in a raid by 22 Conservation Officers on Samborski’s composting operation at his Whyte Ridge location. The company was ordered to cease operations by the Ministry in March, 2014 because of strong odours. Don Labossiere, the Provincial Director of Environmental Compliance and Enforcement, stated there were over 500 complaints from nearby residents and businesses about the smell the site produced. 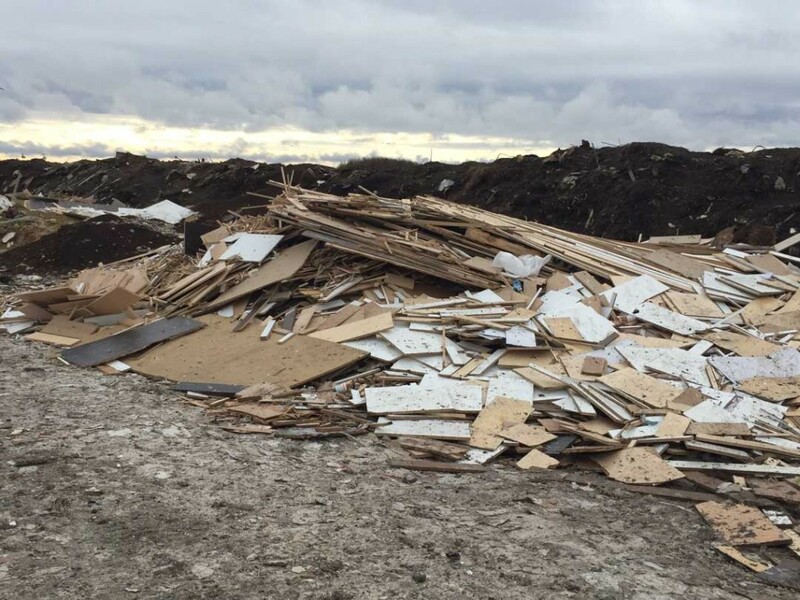 The Province concluded that the odour was a pollutant under the Environment Act, and ordered Samborski to remove all compost material and desist from receiving any further compost material at this site. More recently, Samborski Environmental Ltd. set up a new composting operation on land rented in the Rural Municipality of Macdonald. This leased site is adjacent to the Brady Resource Management Facility (Brady landfill). However, Samborski Environmental Ltd. is operating without the necessary Provincial Environmental License. Conditional use applications made by the property owner have been rejected by the RM of Macdonald, and now the RM has filed a court injunction against Samborski Environmental Ltd. as well as the property owner. The injunction is to allow the RM to remove Samborski Environmental Ltd. from the site for operating contrary to the zoning by-laws. A court decision on this injunction is expected in January, 2016. Samborski Environmental Ltd. does not have a license to operate and is not adhering to strict regulations regarding odour suppression and control of rodents/birds. 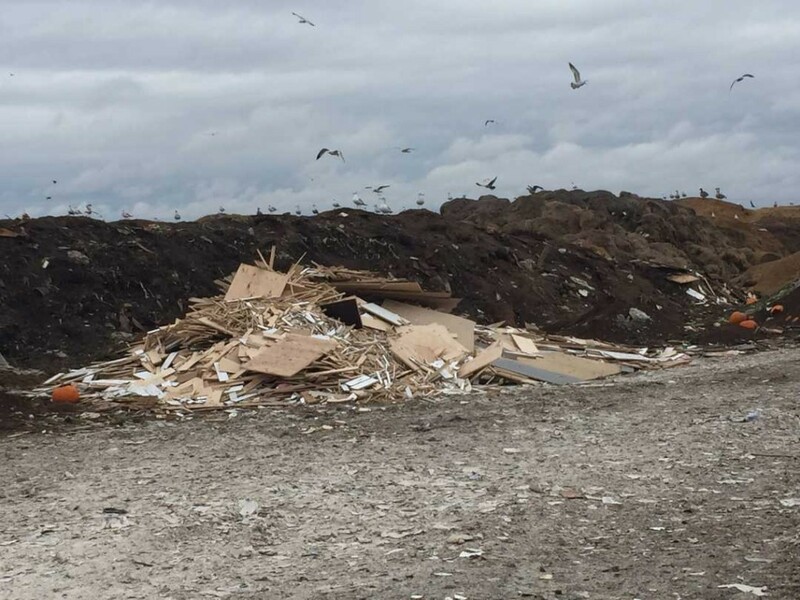 Due to its close proximity to Brady, and with no identification signage, the site is becoming a dumping ground for a wide range of refuse (see images below). 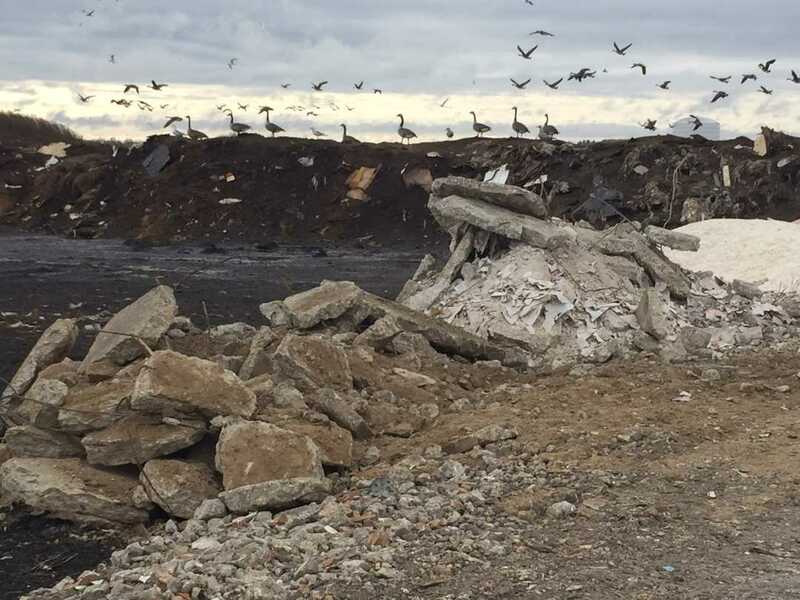 The Samborski site is negatively impacting Winnipeg’s efforts to control birds, rodents and odours on the Brady landfill site. The City of Winnipeg invests a significant amount of money (tax payer dollars!) to comply with the conditions of our Environmental License, issued by the Province of Manitoba. A newly constructed berm at the site is serving as an odour, noise and visual buffer, and the City is continuing to install biofilters on manholes to control odour. In addition, the City established a Community Liaison Committee, which provides advice on landscaping, odour, noise, and ways to reduce the impact of the landfill activities on the local environment. For more details, see New Initiatives at Brady. Manitoba Environmental Compliance and Enforcement Branch is actively monitoring the site, but must receive complaints to initiate further action related to odours. If you have odour complaints, please complete and E-Mail the above Complaint Form. You can also inform your local MLA, Dave Gaudreau HERE of noxious odours, and encourage the Province of Manitoba to continue its monitoring of the site, while awaiting the court’s decision regarding the RM of Macdonald’s civil action.